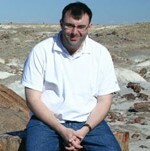 Richard Fortey is a palaeontologist at the National History Museum specialising in trilobites and graptolites. 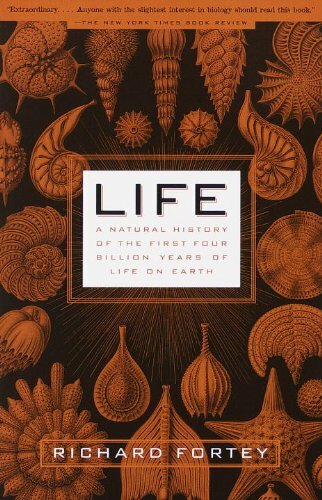 Tell us about Wonderful Life by Stephen Jay Gould. When I was approaching my life as a mature scientist, Stephen Jay Gould was the prime force in palaeontology. He was regarded almost as a demi-god. 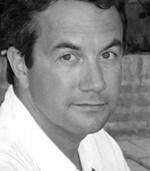 He’s written a number of good books. He writes extremely well, but the book that touched me most was this one, which actually became an international bestseller. Wonderful Life is about the Burgess Shale, which is a deposit of Cambrian age. The Cambrian is a division of geological time – the first major division bearing numerous fossils of animals we can easily recognise. The base of the Cambrian is now 542 million years old and it lasted for 50 million years or so, and this is when abundant marine life as we know it really got going. That is, the first appearance as fossils of many of the ancestors of living things. The animals I worked on, trilobites, appeared during the Cambrian. The Burgess Shale had been discovered many years earlier in Canada, in the state of British Colombia, and it was known that it contained fossils of all sorts of soft-bodied organisms. Normally fossils are only of bones and shells – hard bits, if you like – but this deposit preserved soft remains. Worms and organisms of that kind were preserved as fossils, and they certainly included some extraordinary looking animals. 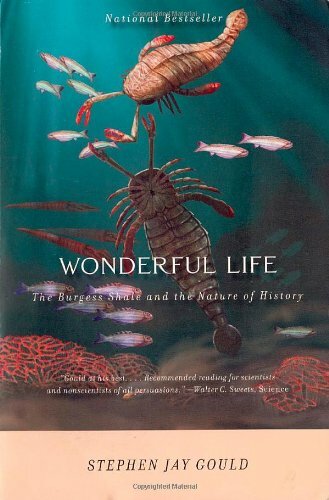 Wonderful Life gave an account of the groundbreaking research that was going on into these fossils in the 70s and 80s. 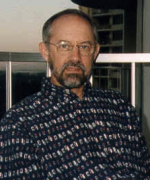 Gould, who was always fond of making grand statements, claimed that he had reinterpreted the entire history of life through the Burgess Shale. He certainly made it very famous. And what was his reinterpretation? Well, he thought that there was more diversity of life, what he called disparity, in the Cambrian than there is now. In other words, we all have the idea of the tree of life wrong. Normally you think of the tree of life as bushes and branches that get richer upwards, don’t you? Whereas, actually, he says, it’s more like a Christmas tree: thicker at the bottom. There were lots of hopeful monsters in the Cambrian, many of them very strange-looking animals that he describes as ‘weird wonders’, and he claimed there was more variety then than there is now. It’s very touching to describe them as hopeful monsters. Well, they were hopeful in the sense that had one lived rather than another, then the history of life might have been different because other creatures would have evolved rather than the ones that did. Indeed, maybe we wouldn’t be here now: something else would be here instead. It was a very appealing idea and sold lots and lots of copies in 1989 and made Gould even more famous. But what he did do was suggest a field of research that I have pursued with colleagues of mine for a number of years to test the idea. So he proposed a stimulating idea that lots of people have subsequently followed. He asserted it rather than demonstrating it, so what we showed after a lot of research work was that disparity was surprisingly wide in the Cambrian, but not greater than it is today. 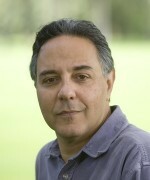 Quite a lot of research was generated in an attempt to prove or disprove Gould. 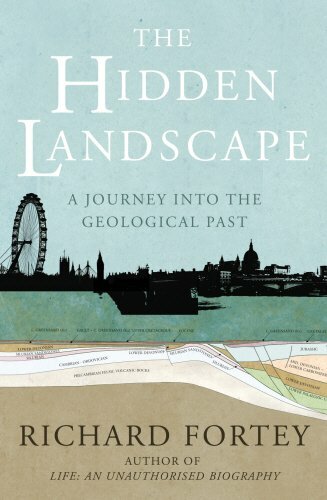 It was a very important book for us, because palaeontologists, apart from those who work on dinosaurs, can be seen as people working on rather obscure things that have long been extinct, but this put us more on the front pages. 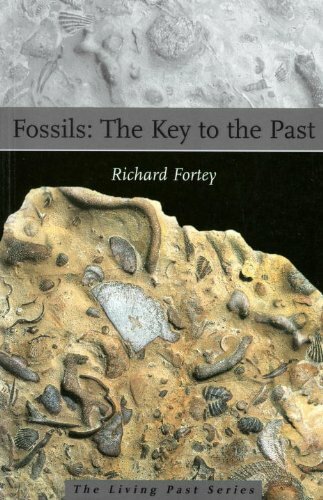 It was arguably very good for palaeontology even if he wasn’t right about the interpretation. Now you’ve got Dinosaurs by Steve Brusatte and Michael Benton. That’s because you have to put a dinosaur book in. 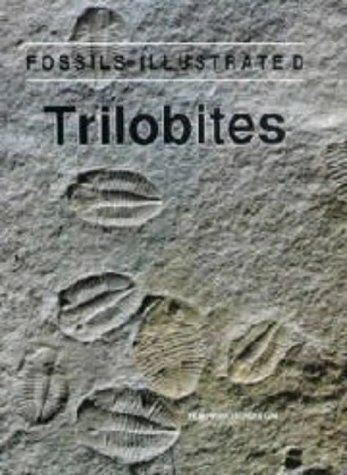 I worked on trilobites for many years and I eventually wrote my book Trilobite on my favourite animals. Like most palaeontologists, I slightly resent the grip that dinosaurs have on the popular imagination, although I quite understand that they’re such fantastic animals that it’s not surprising. So I’ve been fighting my own campaign to try and put trilobites up there with the dinosaurs, which I’ve been singularly unsuccessful in doing. 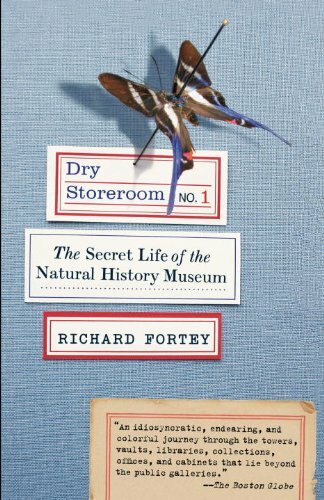 There are a thousand and one dinosaur books and more are sold in the Natural History Museum than all the rest of the books put together. Kids love dinosaurs. 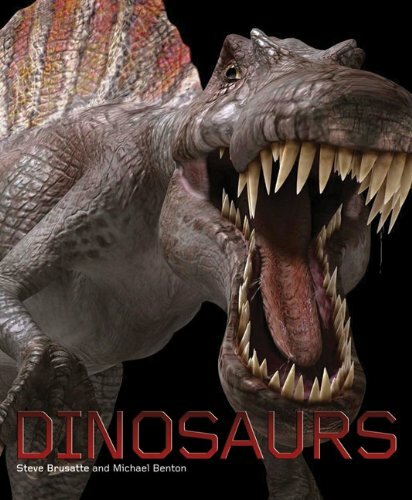 But this is a dinosaur book by two people that really know their dinosaurs and that’s why I chose it. What do they tell us about them? Well, it’s all about the different types of dinosaur and the way they lived. It’s clear that dinosaurs did almost everything that mammals do. 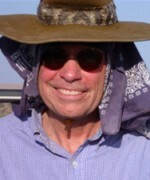 There were large grazers, herbivores, carnivores and small insectivores. Any kind of ‘vore’ you like to mention was being done by the dinosaurs long before the mammals invented their own different techniques for doing it. 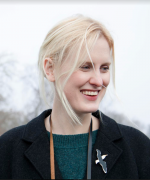 So, one of the preconceptions that this book gets rid of – you know the old expressions: we mustn’t be dinosaurs, this company must not be a dinosaur? I know the kind of thing. It’s complete nonsense. Dinosaurs were superbly well-adapted and would probably have survived and we would never have had a chance had it not been for their unfortunate, as Monty Python used to say, demise. And what does this book tell us that’s surprising? I suppose it’s the sheer variety of the things, and now, of course, how widely known they are. They are found on almost every continent – there have even been recent reports in Antarctica. Would you be surprised to learn that dinosaurs, allegedly reptiles and supposedly cold-blooded, could live as far north as Greenland. I would be very surprised, yes. Well, there you are then. That’s something that would indeed seem astonishing. Obviously, we do know a lot about them but there’s a lot we don’t know, isn’t there? There is that amazing pair of enormous forearms just as you go into the dinosaur exhibition at the museum, and the rest of him has never been found. Of course there are many, many dinosaurs that are known from just a few fragments, because that’s what you have with fossils, particularly with huge fossils, if you think about it. The larger an animal is the less likely it is that you’ll get it all preserved. Actually, was it cold in Greenland in those days? Well, the climate was much warmer then and this is one of the vital facts we need to think about when we’re considering global warming now, of course. The climate is not just changing now, it has changed in the past, and is it different this time from the way it has changed in the past? I think it is. There have been times when carbon dioxide levels have been high in the past but there’s never been a time when carbon dioxide levels have been high because of burning, basically, organic carbon that had been tucked away in the geological record. Coal and oil, specifically. Are you frightened by this? Well, I don’t welcome it. Nobody does. I’ll put you out of your misery. You don’t have to talk about dinosaurs any more. It’s time to go on to Trilobites by Harry Whittington. Ah yes, now we’ve got to the important animals, the ones I spent many years studying. In the sea they were as important, some say dominant, although I prefer to think of the sea as a kind of collaborative eco-system. But they were indeed a very important group of organisms that lived for nearly 300 million years, though there are people in the world that haven’t heard of them. There are. What are they? Were, sadly. They were arthropods, joint-legged animals, very remotely related to crustaceans, crabs and and lobsters. They are probably most similar superficially to enormous woodlice. At least, some of them were. They were immensely varied. So they were big, were they? They could be up to a yard long. Most of them weren’t. Most of them were really quite small and would sit comfortably in the palm of your hand. And some were tiny. Well, in so far as it’s important to know about what the seas were like in ancient times, trilobites were one of the most important animals living there. They tell us about ancient geography because different trilobites lived in different parts of the world; they tell us about climate because some trilobites liked living in warm water and some didn’t; they tell us about how deep the water was. In short they help to paint a picture of the ancient environment. 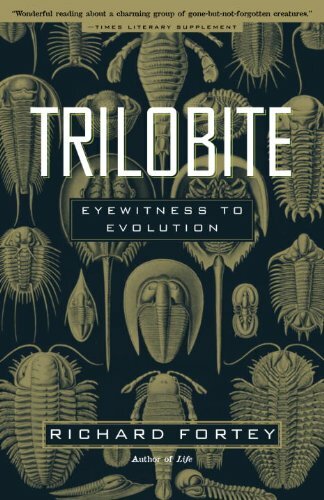 There aren’t many books on trilobites. Mine is probably the most entertaining read, he says modestly. But Whittington was my old professor. He died very recently and he was, you could say, Mr Trilobite. There was nobody who knew so much or had published so much on trilobites as Harry Whittington. He supervised my PhD so naturally he should have a place in my five books. Did trilobites coincide with us at any point. No, no, no, no. You’ve got trilobites living along with the aforementioned Burgess Shale animals; after they died out you’ve got the rise of the dinosaurs, who died out in the mass extinction at the end of the Cretaceous period, 65 million years ago, and only then you’ve got the rise of the mammals. And we humans were among the last of them to appear. What were the seas like when the trilobites were in them? Well, they were more like they are now than you’d imagine. There was a tropical area and a cold area. There were deep waters with blind creatures in the depths of the sea and there were even coral reefs for some of the trilobites’ history. But although the seas were similar, many of the characters that lived in the seas were very different. Some of the animals from Burgess Shale included great monsters – very, very strange-looking predators with grasping claws. Later on, there would be lots of relatives of the nautilus, of which we have one living representative today, the pearly nautilus. In the past there were hundreds of different kinds. They were probably quite important predators. Trilobites were around before the first fish, but when they appeared they eventually included many strange armoured forms with great big plates over their bodies – really quite formidable – and the trilobites, as if in response, became extremely spiny about that time. Some of them are like hedgehogs, they are so spiny. They’re very popular with collectors now. They have a great monetary value. How much for a spiny trilobite? Well prepared, dug out of the rock, you can pay two or three thousand dollars for a good trilobite, but you have to go to the right place. You could go to the Houston Fair, for example, or you could go to Morocco, which is where I’ve just been with David Attenborough to look at the land of the trilobites, where these things are collected from the rocks. Life on a Young Planet, Andrew Knoll. This is a book about the beginning of things. So we are now going right back in time, not just before the dinosaurs, not just before the trilobites, but to the very, very early days on the planet. What do we call that period? It’s broadly called the Precambrian, going back beyond 3,500 million years ago, but the point is that this was in some ways the most mysterious part of the history of life on the planet. When Charles Darwin was around, no fossils were around from this period. What’s happened over the last 30 or so years is that more and more discoveries have been made in these Precambrian rocks. Because of new techniques mostly, but also because people have taken the trouble to look properly. A lot of the fossils are things you might expect, like algae, bacteria, so they’re very small and not easy to find. 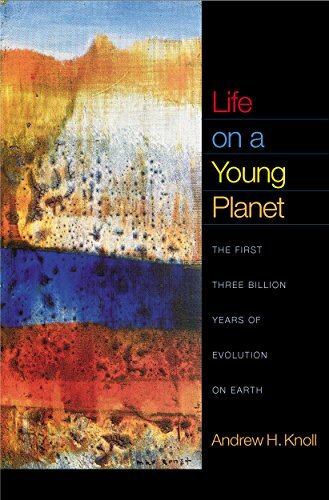 Knoll tells very well the story of the development of the early years of our planet and how life actually shaped it, because not a lot of people know that it was life itself that made the planet habitable for animals. In the early days there was little oxygen, which of course all animals, including us, need to breathe. In fact, early life evolved and appeared in the absence of oxygen. It was only when organisms appeared that were able to carry out photosynthesis – mostly bacteria to start with, followed by algae – that oxygen was released. So, in other words, we would have died of suffocation in the early days of the planet. It took two billion years of work by these organisms to oxygenate the planet sufficiently for our kind of life, including the trilobites, dinosaurs and ourselves to evolve. Two billion. Two thousand million years, yes. So you can’t overestimate the importance of this early period in making the planet what it is today. It’s very important, when we muck around with the atmosphere as we’re doing, to realise that what we have is actually a product of this ineffable and long period of planetary evolution. I don’t think people realise how long the journey has been to get to where we are now. 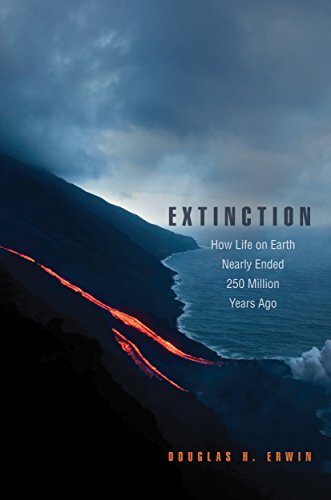 Finally, Extinction by Douglas H Erwin. The story of life is not just that of new things appearing but it’s also a story of things dying out at certain periods. Most people have heard about the death of the dinosaurs 65 million years ago – but the biggest dying of them was at the end of the Permian, 250 million years ago. This was when life really did nearly die out. 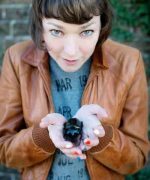 More than 90 per cent of species became extinct, seas became poisoned, and life was put through a kind of squeezer from which it only just emerged, and everything that appeared afterwards had to have passed through that squeezer. It was the most important extinction event in the history of the planet, no question. What went wrong? Or what went right? It’s worth thinking about what we’re doing to the planet now. You will know about continental drift, and at that time all the continents came together in one great massive supercontinent called Pangaea, which eventually had a terrible effect on climate. Deserts grew and there were very few places where rich, diverse life could carry on. Vertebrates were reduced to very few species which could walk from one end of the earth to the other. So we started again? There was a whole evolution before? Yes. Trilobites were one of the victims, but some things survived, of course, and those things gave rise to all subsequent life. It reset the whole calendar. That’s obviously something people ought to know about. I’m agnostic. I’m not an evangelical atheist, but I don’t see any evidence for God.